This article was originally published by ezCater. Social media and food go together like…well, pizza and sushi. 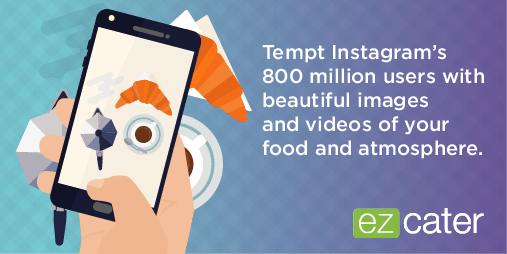 Sous Vide Tools reports that pizza is the most Instagrammed food, with more than 19 million hashtags. Sushi comes in at number two with more than 13 million. In other words, people are talking about your food on social media. If you’re not there to join — and lead — the conversation, you could miss out on the free promotion. A restaurant social media marketing strategy is a must for any caterer. 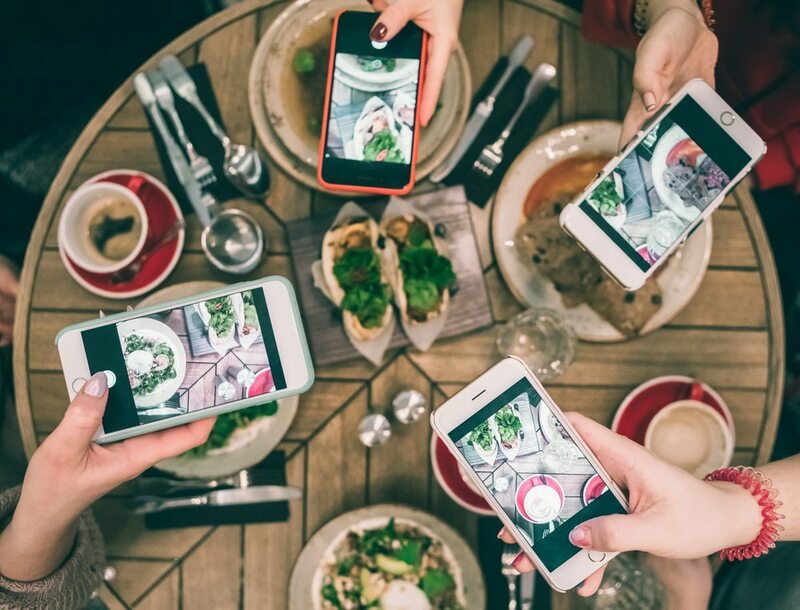 Follow these easy to tips for owning the conversation around your business and creating a solid restaurant social media marketing plan. TechCrunch reports that Instagram now has more than 500 million daily users. Here’s how to capitalize on that audience. How Often to Post: It’s all about consistency. Aim for 1-2 posts per day, but be sure to maintain the same cadence moving forward. It’s always important to keep in mind: consistency is key. 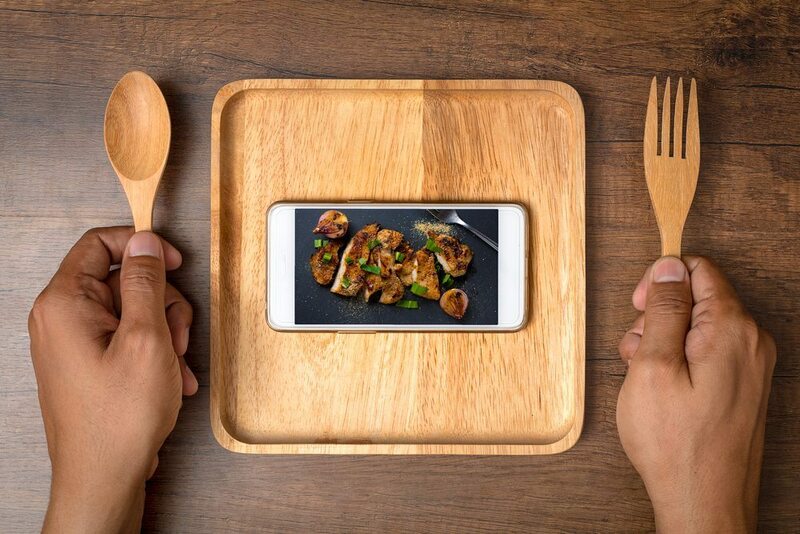 Best Promotional Use: Share pictures of your beautiful food dishes. Add filters to give them that extra flare. And to mix things up, each week also include shots of your team and anything else that might personalize your business. If you’re offering a new menu special or a discount, this is a great place to show it off. With more than 2 billion users, Facebook is by far the number one social media platform. As a part of your restaurant social media marketing plan, it’s the place to build community and engage with your customers. How Often to Post: Try once per week, at first. But as you become savvier, and your following grows, try posting 2-3 times per week. Best Promotional Use: As The New York Times notes, Facebook’s algorithm has recently changed. So how does that affect your restaurant social media strategy? Facebook has always been about engagement. You want to share posts your followers will want to see and share with their own followers. Ask questions, offer challenges, and try anything else that begs for interaction. Post photos of your dishes, share inspirational quotes, and create content around holidays. And, if you can, create funny, inspirational videos around your business. Twitter fits into your restaurant social media marketing plan as the place to share news and to respond to your customer’s questions, complaints, and compliments. How Often to Post: 1-5 times per day for original tweets, plus retweeting and customer responses. Best Promotional Use: If your customers are unhappy, Twitter is where they will tell you. Any time someone complains about a mixed up order or a dish they didn’t like, make sure you respond. People just want to be heard. And the more you can encourage those personal interactions, the more you’ll be seen as an authentic part of the community. For original tweets, try to use images and video where you can. Snapchat is all about those fleeting moments. Any picture or video you add to your story only stays up for 24 hours. It’s a way to share something that’s happening right now. As Fortune reports, Snapchat generally reaches younger users, but its audience is growing quickly among people of all ages. How Often to Post: Use as needed for special promotions or fun events. Best Promotional Use: Are you having a secret pop-up event? Or are you offering a happy hour special at a certain time of the day? Use Snapchat to get those messages out. Don’t feel like you have to add to your story several times per day. But have fun with it, and incorporate it into your strategy.